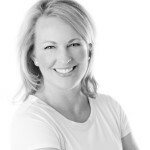 Amy Berryhill is widely recognized as one of the Treasure Valley’s best professional Realtors. Born and raised in Boise, Amy’s well known for her experience and commitment to excellence in housing and real estate, having worked locally in the residential market since 1996. Clients and industry peers alike know and trust her for her Idaho values, market knowledge, and proven abilities to problem solve. Amy joined Ralston Group in 2014 and exemplifies Ralston Group’s brand, focusing on always providing “client-first” services. With early education at St. Joe’s, North Junior High and graduating from Boise High, Amy received her Bachelors of Arts in Health Science at Boise State in 1994. She entered the housing/real estate industry in 1996 where she joined O’Neil Enterprises, serving as Community Director, a sales and marketing position for new home construction for the Surprise Valley subdivision. Later she served on the sales team for the Rockhampton and Harris Ranch developments with Thornton Oliver Keller. She spent 11 years with Windermere, specializing in Boise downtown to the Boise East Side, focusing on residential housing, including condominiums, vacation and investment properties, and re-locations. With nearly two decades experience, Amy is a skilled practitioner at local market analysis, negotiation, and all transactional aspects of real estate – she’s a pro. However, what differentiates Amy from many of her peers is her passion and intuition in truly understanding client wants and needs, and her ability to provide them the tools, applied knowledge, and even emotional support to guide them to successful outcomes in selling or buying property. Recognizing that every client has differing objectives and accompanying life-circumstances, she always goes the extra mile – that’s reflected in the fact that well over 90% of her client-base comes from referrals and repeat business. Amy personifies Boise’s healthy life-style and is a highly accomplished multi-sport athlete. At age 14 she started competitive bike racing and was quickly brought into the US Olympic Development Program. Placing in the US National Championships, racing for Team USA, and eventually competing in the World Championships in Denmark, her commitment to excellence is evident both in her personal life, and as a professional Realtor. Amy’s family is well known in Boise – her dad Mike Gibson is a prominent family physician, and her husband John is the founder, owner and operator of the landmark downtown restaurant Berryhill & Co. and BACON. Son Gibson is a sophomore at the College of Idaho where he excels in academics and basketball. Go Yotes! Amy loves to spend time with family and friends, staying fit, enjoying get-away weekends in McCall, and helping John keep the restaurants Boise’s very best. Contact Amy @ 208-890-2069, or amyberryhill@ralstongrp.com.